The P1515X combines two mighty 15" XLT drivers in a single cabinet. This design provides extreme low-mid drive and thundering bass rumble. Perfect for blasts of bass power that literally move a room! 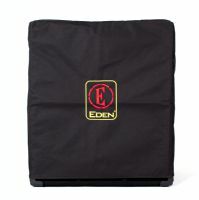 High quality, tough Amp cover for the Eden D115XLT, protecting your amp from dirt, dust and scratches and keeping it clean when on the move or in storage. Please note, the cover may not look exactly like the one that is pictured. 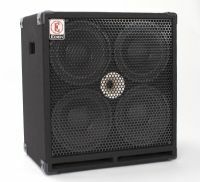 The TN210 cabinet has been designed to provide professional hi fidelity bass tone and response for the gigging musician. Its ported and tuned design along with the use of separate tweeter. The TN110 cabinet has been designed to change the way you think about 1x10" enclosures. The use of both a Whizzer style speaker and separate tweeter allow this compact cabinet to not only sound larger than life but also deliver exceptional response. Gig bag for Terra Nova Amplifiers. The TN2252 is a perfect pairing of the TN226 amplifier with a two EDEN-designed 10" speakers. 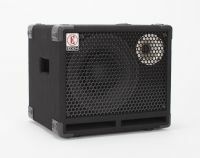 The TN2252 is a great gig worthy combo equally suited rehearsals as well as having a great Di out for when you need to use the front of house system. Gig Bag for WTX-500 and WTX-264. 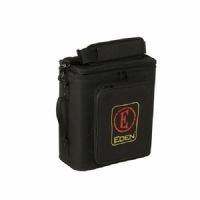 Padded amplifier gig bag with 2 zippered pockets. 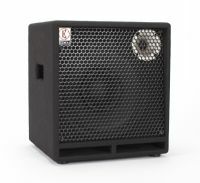 The TN410 cabinet has been designed to provide professional hi fidelity bass tone and response for the gigging musician. Its ported and tuned design along with the use of separate tweeter.